MOVE IN READY PALENCIA SHOW STOPPER! This magnificent home has 5 BR, 4 Full Bths, & 3900 SF of fabulous living space. Designer features include hardwood floors, upgraded fixtures, arched doorways, built-ins and much more! The over-sized master has tray ceilings and beautiful preserve views. Gourmet kitchen w/ maple cabinets, stainless appliances including a gas range, and once again, views of the lush rear yard and preserve. Other features include a built-in desk, wine cooler and wet bar. 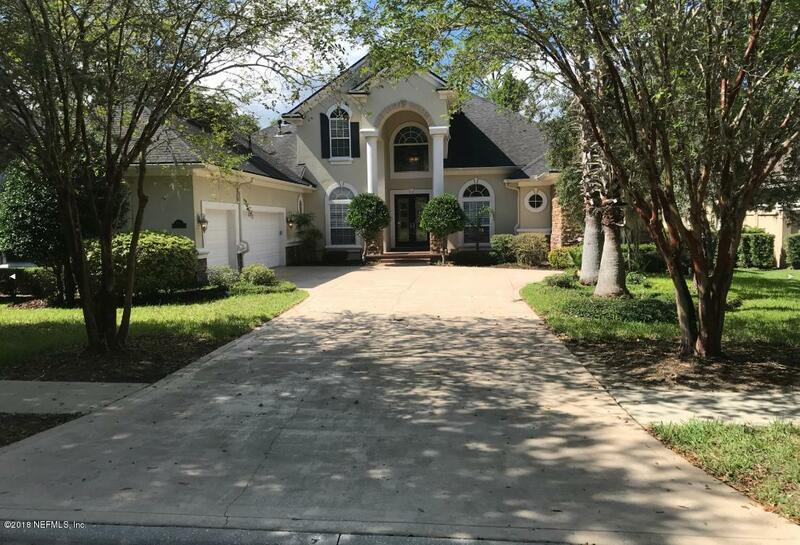 Located in GUARD GATED SECTION of the highly desirable Palencia community, offering basketball, tennis, and volley ball courts, golf course, gym, pool, walking trails, and intracoastal access via the adjacent municipal pier. LIVE THE DREAM!